Hello! Hope everyone is enjoying the miraculously warm weather we've been having this weekend. More of that, please! I got mine on Littlewoods - it's listed as e16, but we got it as part of a larger order and used the code 23F4B which gives you 20% off if you spend over e100, so the nail polish set cost e12.80 with the discount. (Pretty good considering it's almost e18 on Asos.com for the same set). Littlewoods also have free delivery. They stock a range of Nicole by O.P.I, O.P.I, Models Own, Nails Inc. and Barry M polishes, but to be honest they're all a little overpriced so I wouldn't order without using a discount code. You don't have to use a credit account to order, you can pay straight away (no interest! Yay!). 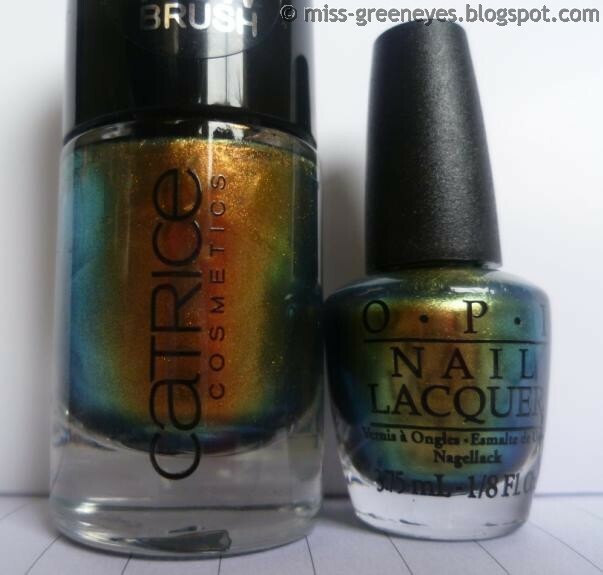 I have two comparisons for you, the first one is O.P.I 'Just Spotted The Lizard' vs Catrice 'Genius In The Bottle'. 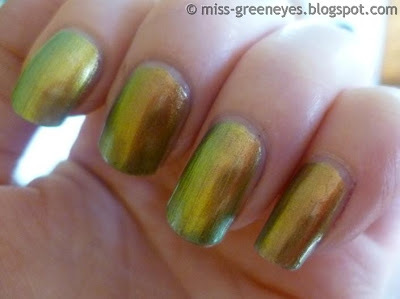 I don't have the other rumoured dupe Chanel 'Peridot', but if you have it, you can have a look and see which of these it's most like. As you can see, they look fairly similar in the bottle. Both have the gold/bronze/green tones in natural light. 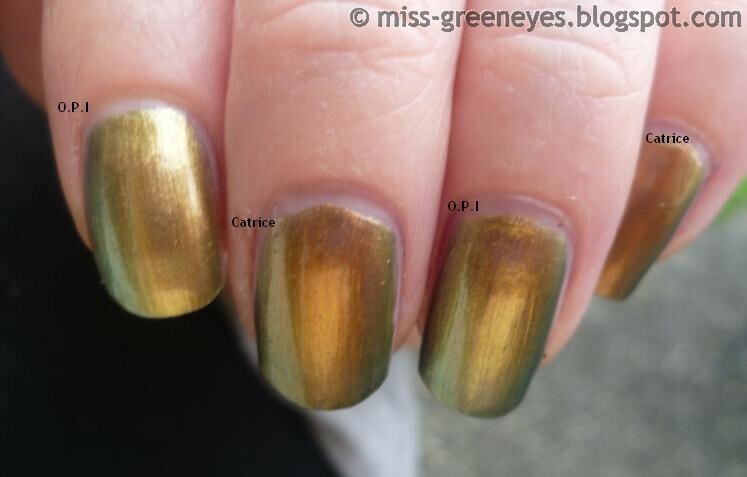 You can see from this picture that the Catrice has a deeper bronze tone than the O.P.I, which is leaning more towards gold. Application with both was much the same, this was two coats of each. They are definitely similar, but they're not dupes. I don't know how they stand up against Peridot, does it lean towards bronze or gold? 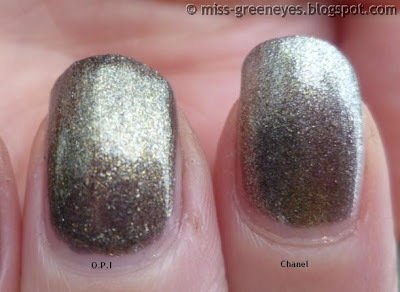 Next up is O.P.I 'Number One Nemesis' vs Chanel 'Graphite'. To me, they didn't look similar at all in the bottles. The Chanel looked much thicker and lighter in colour. Two coats of both tells a different story! They're much more similar here. 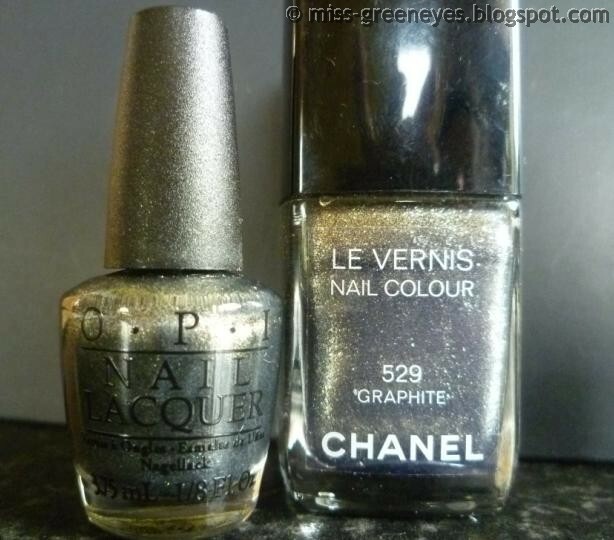 The Chanel has more silver, the O.P.I has more gold. They're very similar outside. Even moreso than the O.P.I & Catrice. Verdict? Again, not dead-on dupes, but close enough for 'Number One Nemesis' to satisfy a craving for Chanel without wasting expensive polish. Yes, I can tell this comparison of nailpolishs are 99% the same. Oh both shades really do look similar! 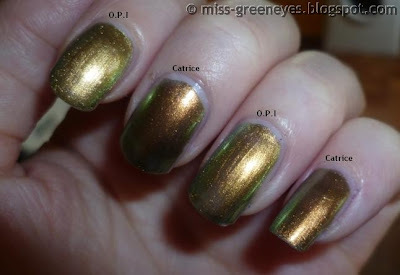 I love the golden tone of the Catrice one over the OPI one though. Thank you :) I KNOW. I really hate using it because I don't want to waste it! Great post! 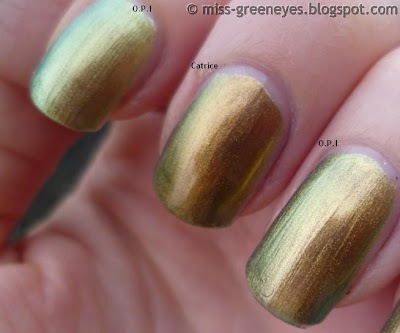 I like when there is dupe for some expensive product! I've always kinda wondered what Genius In A Bottle would be like as generally warm tones don't look "right" on my nails. Great comparison! 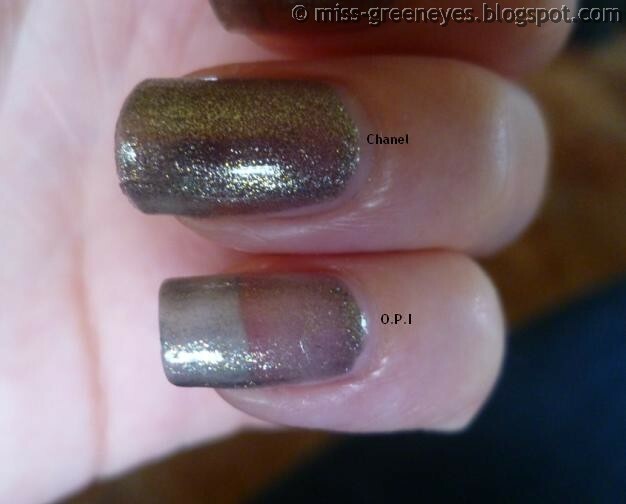 I love seeing all the dupes for the expensive Chanel polishes. I got the Catrice one a couple of weeks ago when I was home. I haven't had the chance to properly test drive it though, I think I might wear it over Barry M's gold foil to make sure it's opaque. I thought it was a dupe for something but wasn't sure what. I'm delighted at my score now! The silver is so nice!